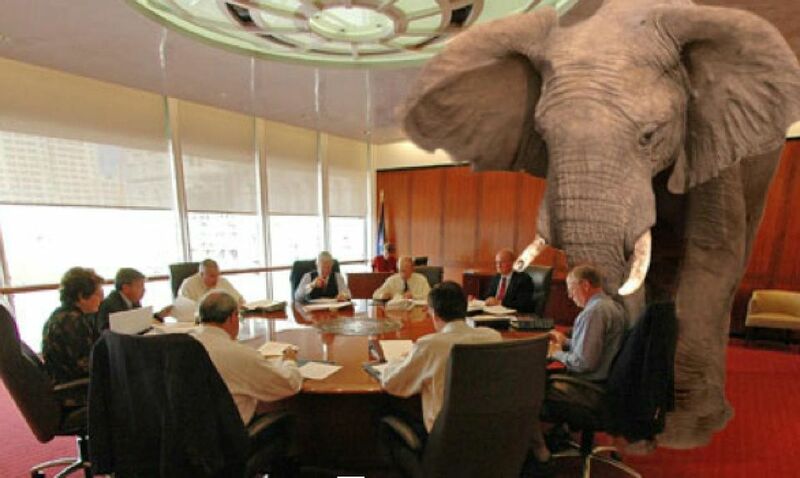 NAR and the MLS: the Elephant in the Room – Notorious R.O.B. Joe Rand is one of the smartest guys in the industry, not to mention one of the nicest. He’s an author, who wrote the book on how real estate can deal with disruption. He’s also a terrific singer, in case you didn’t know. It’s not that I don’t support the association. I pay my dues, and I contribute to RPAC. I just don’t see involvement in NAR as important to my daily work. But here’s the thing: it’s not NAR’s fault that it’s not crucial to my daily work. It’s not supposed to be. He then goes on to analogize NAR to other professional organizations, such as the American Bar Association (for lawyers) and the American Medical Association (for doctors). And like those other organizations, Joe thinks NAR has a limited role to play in the business of real estate. Thing is, Joe leaves out the most important difference between NAR and the ABA or the AMA. Neither of those trade associations for lawyers or doctors control a local monopoly that is a required utility for the conduct of their day to day business. NAR and its local affiliates do. That makes all the difference, and frankly undermines his conclusions. You can’t have it both ways. And once you take the Association control over the MLS into account, there are wholly different angles to Joe’s ultimate conclusions and recommendations. Joe makes two important arguments on his way to ultimately concluding that the industry should not look to NAR to save it from major challenges, disruptions, and so on. NAR is a trade association that exists for the benefit of its members. That’s not what trade organizations are supposed to do. They’re supposed to advocate for their interests, foster collaboration among members, provide consumer education, promote their industry and maybe establish a baseline code of ethics. All very important responsibilities. But they’re built for members, not consumers. They’re designed to further the interests of doctors, not patients; attorneys, not clients. And there’s nothing wrong with that. That’s their role. That’s why it doesn’t really matter whether your doctor is a member of the AMA or your lawyer the ABA. Trade associations don’t provide actual services to consumers. They’re not in the examining room or the courtroom. Their role in the industry is limited to facilitating the work of practitioners, not providing it. And membership doesn’t convey anything meaningful to a consumer — it just means the practitioner is licensed and paid some dues. The license is important. Membership is not. And that distinction is at the heart of all this recent tumult surrounding the National Association of Realtors, which is, I shouldn’t need to remind you, a trade/professional organization. Too many Realtors want NAR to be something that it’s not and really shouldn’t be. That’s pretty compelling, except for the giant MLS-shaped hole in his first argument. Joe is plainly wrong on the first argument, by his own words. The AMA is not in the examination room, and the ABA is not in the courtroom. True statements. But NAR is very much in the “workroom” of the REALTOR, because its local REALTOR Associations own and control the MLS. Joe might not care what his local REALTOR Associations decides to do about the logo; he would care VERY MUCH what it decides to do about MLS rules and policies. Because he and his agents might not use NAR’s lobbying services every day, but they absolutely use the local MLS every single day to conduct business. No other trade organization controls an essential utility for the conduct of business. How do we know this? Because no other trade organization was ever sued by the Department of Justice for antitrust violations through its control over an essential utility. That control over the MLS, combined with the requirement everywhere except in (a) Thompson states, (b) California, and (c) in markets dominated by broker-owned or private MLS, means that the vast majority of the brokers and agents who actually provide real estate services to consumers are members of NAR. According to NAR’s own stats, 86% of all residential sales were mediated by REALTORS. 7% were done by non-REALTOR licensees, and 7% were done by FSBO. We know NAR’s membership count is somewhere north of 1.3 million, out of an estimated 2 million licensees. It isn’t clear how many of the 700K non-REALTOR licensees actually help people buy and sell real estate, instead of being real estate investors, or working for new construction companies, or supplementing their Uber driving gigs. In contrast, only about 22% of the lawyers in the United States are members of the ABA, according to the ABA itself. The non-ABA lawyers are not Uber drivers; they practice law, every single day. Furthermore,ABA has never enjoyed the kind of dominance that NAR has: 40 years ago, only about 50% of lawyers belonged to the ABA. That has led to the ABA trying to figure out how to reverse the decline. The AMA? Only about 25% of practicing doctors are members, and recent reports are about roiling dissent and division among its ranks. What accounts for the difference? There isn’t a city in the United States where ABA membership is required for all practical intents and purposes to practice law, nor AMA membership is required to practice medicine. But there are hundreds of markets where REALTOR membership is required to access the MLS, which is required for all practical intents and purposes to practice real estate. One result, by the way? 70% of NAR’s members feel that they were forced to join. And NAR, through the way it has been setup, controls the policies of the local MLS. Is it any wonder that brokers and agents who could care less about NAR’s lobbying efforts, RPAC, Code of Ethics, or REALTOR Magazine care a great deal about the MLS Policy Committee decisions? None of the above [statements by NAR CEO Bob Goldberg to the of NAR] displays any concern for the public interest. “Benefit our members and improve their profitability” is nowhere in the history of NAR, the history of the Code, and the Code of Ethics itself. It is an inversion of the basis of the REALTOR Movement. Engaging and serving members is a good thing to do, but that can never be the top priority for the National Association OF REALTORS… at least if NAR has not forgotten who it is and where they come from. The top priority is and must always be the protection of the consumer and the furthering of the public interest. If not, if NAR really is about enriching its dues-paying “members”, then as a non-REALTOR who nonetheless has to buy and sell homes during my lifetime, therefore paying these REALTORS a commission, why in the world would I want to support that organization? If NAR’s top priority is benefitting its members and increasing their profit margins, why as a regular taxpaying citizen should I look at NAR as anything other than yet another special interest group? Maybe Joe is right that NAR is merely a trade association that exists for the benefit of its members, like the ABA or the AMA. From that standpoint, it is illustrative that the ABA’s Goal #1 under its Mission and Goals is “Serve Our Members.” NAR’s Mission Statement is: The core purpose of the National Association of REALTORS® is to help its members become more profitable and successful. If so, the transformation is complete. All of that “Under all is the land” and “civic responsibility” and “patriotic duty” is so much window dressing. All of the thousands of volunteer leaders who donate hundreds of hours, millions of dollars, and countless amount of effort to “defend homeownership” are being deluded (or they’re pulling the wool over our eyes). All of the people gathered in Washington DC to “promote homeownership” and “protect property rights” are actually there to promote the selfish interests of NAR’s members. How sad, if that’s true. What a shrunken vision of the REALTOR movement that is. Advocate for laws that benefit real estate and real estate professionals generally. Provide education to professionals and the public about real estate-related issues. Promote real estate professionals who are members. Establish and maintain a code of ethics. If that were the case, then there are a few things that need to happen right away. First, brokers and agents need to insist that the Association divest the MLS. As Joe put it, “The license is important. Membership is not.” Well, then make it so. At a minimum, brokers and agents should insist that NAR disband the MLS Policy Committee, get rid of its control over the MLS, and put that power back in the hands of the local Associations. Why should a broker from upstate New York, like Joe, have to travel to Washington DC to have his input on the rules and policies that govern his practice of real estate? Let his local MLS and local Association handle all of that. Take, for example, that whole controversy about the new logo. Who cares? If you’re a real estate professional, you should be developing your own unique brand. Why would you want to stress a brand that’s shared by virtually every competitor in your market? Put it this way, if the Realtor logo matters to you in your business, you’re doing it very, very wrong. Brokers and agents should be insisting that NAR stop spending $42 million of member dues (mandatory assessment, mind you, not an optional voluntary donation) to promote the Realtor brand through its advertising program? Why should you be required to pay $35 a year to promote a brand shared by virtually every competitor in your market? So if you’re a real estate agent, you shouldn’t be relying on NAR for systems, tools, coaching, marketing, branding or any of the basic building blocks you need to manage your business. You should be looking to yourself, your broker or maybe your franchise system or independent network. But not NAR. That’s not NAR’s job. That’s our job. Then why are you paying a bunch of money to NAR to provide you with systems and tools that you should be looking to yourself, your broker or maybe your franchise system or independent network to provide? If NAR wants to offer discounts to those systems through MVP or whatever, that’s fine. But stop spending members dues on any of that, and by extension, stop charging members money to provide systems, tools, coaching, marketing, branding or anything of the sort. Isn’t that kind of what Houston Association of REALTORS has been suggesting all along? Having written all that, if what Joe is suggesting is that NAR be transformed into a trade organization just like the ABA and the AMA… well, I can get behind that. Focus on providing benefits to your members, who are no longer required to join? I’m okay with that. Focus on lobbying for the benefit of your members, and leave consumer protection and homeownership to actual consumers and homeowners? If that’s what y’all want to do, I can get behind that. Foster collaboration amongst voluntary members? Sure, why not? Establish and maintain a voluntary Code of Ethics? Sounds like a great idea, and a way to differentiate the 25% or so of people who would join and the other 75% who are not members (like the ABA or the AMA). Somehow, I have a feeling that transformation would be met with GREAT resistance by NAR. Don’t you? As usual, Rob is 99% on target, or at least in agreement with my own personal viewpoint. I join the chorus of agents who challenge NAR to step away from their many MLS relationships, immediately. They can do this in a NY-second by refusing to cooperate with MLS access to NAR membership. Same for Broker requirements to join NAR/StateAR/LocalAR. This will NEVER happen, simply because the huge number of NAR “executives” being paid well in excess of $100k/year — not to mention the many being paid $400k — and the top dogs getting well over $1M a year. They need those 1.3M dues to pay themselves. The “solution” is to raise dues for those who value NAR and allow everyone else to access the MLS without NAR membership. Same for state and local REALTOR Associations. Thank you Rob for continuing to bring this to the forefront. Curt, I agree completely. In my area, the MLS board switched MLS system to another company – without asking members how they want their money spent. I wish I could find a way to spend other people’s money without their consent. And, in doing so, swatted a hornet’s nest. Approx 50% of members petitioned the MLS to get the former provider back on the system. Now, we have TWO MLS systems. If an agent wants to list on the former system, they also MUST post their listing on the new system. What’s the cost to members for two MLS systems? Don’t know. There is a movement to form independent MLSs nationwide separate from NAR. I hope it succeeds. I will join. I look upon NAR’s control and ownership of the MLS system as incestuous as a business can get. I smell a foul odor. I could not agree more Rob. Since the failure of RIN, I have been a strong and outspoken advocate for getting the NAR and all organized real estate out of “the business of real estate.” And that, by the way, includes any involvement in the MLS or a reasonable facsimile. The objectives of membership-driven organizations are totally misaligned with competitive-driven businesses, like brokerage. And for very obvious reasons, never shall the objectives of the two meet. Maybe now, some significant group of industry participants will wake-up and do something to redefine and confine organized real estate to its core Charter to serve as a true professional Association. The first paragraph of this piece is really great. People should just stop there, since the rest is just padding…. Joking aside, I don’t really disagree with much of this, though it’s presented as disagreeing with me. It’s a far more aggressive take (not atypical for Rob) and goes further in its prescriptions, but I agree with at least 90% of it. If I can find time this week, I will explain the 10%. I admit to a bit of old hippie-ness. That aside, as a “trademarked” Realtor (‘cuz there’s no choice and that’s just the way it is) and a member of a local association board and, at the same time, a member of the board of a regional mls of which the association is the major-est (in fact the founding association of the regional mls) of multiple other association board players (“stockholders and stakeholders” as we call ourselves among other things), and notwithstanding just a pinch of incestuousness, I just can’t help from being a little confounded by it all. My confounded-ness comes especially from hearing somewhat of a constant drone (from who knows where at its’ very core?) that there be a complete separation, if not divorce decree, of the MLS from association with its’ ASSOCIATIONs. I know. One has to read that sentence twice! I just dropped in to see what condition my condition was is!!! I just can’t help but make my own little analogy of the kid that wants to run away from home because he or she has decided his/her intelligence level exceeds that of their own parents or they just flat don’t like the rules their parents laid down for them as a condition to stay in the house. I know, I know. Such estrangements do, lamentably and sometimes tragically, happen at times. But, much more often than not, he or she that wants to “fire their own parents” comes wandering back home when their laundry gets dirty or they run out of their allowance money or the magic occurs to them that maybe, just maybe, they really do love their parents after all and will forever. The push by some to drive a wedge between the MLS and “organized real estate” (local, state, and national) is something I just don’t understand or into which I have any decent degree of insight. I don’t know, but I suspect, at least over a million of the 1.3 million +/- Realtors members of NAR don’t have much of a clue about all this either. Though I do definitely agree that most want to be left alone using the MLS as an indispensable tool to help people buy and sell real estate. Some say it’s the push and pull between TECHNOLOGY and the POLITICS of organized real estate. It’s the “PUSH OF TECHNOLOGY” (and all the investment $$$$ behind it) – which can do just about everything – so they say. “Say hey, OK Google! ….” and “Alexa, where can I buy a nice 3B/2b ranch with a pool today?” versus the “PULL OF POLITCS of organized real estate which restricts technology from doing anything it wants because, DAMN, technology has to be restrained by PROFESSIONAL STANDARDS and operate within a CODE OF ETHICS ! ! ! I rest my case. Isn’t that right? Or, am I wrong? I really wanna know. It’s either the MLS versus the LOCAL ASSOCIATION (especially – since all politics is local, so they say) or MLS is either “with us (local association) or agin us”. Damn, we actually have to get along like love and marriage, horse and carriage? Perish the thought. Very much on point! Love reading facts and true blunt discussions. I’ve seen, experience, and tried to make a different where I could. However, there’s those that feel they are going to get to the top the organization by bullying their way to an end. In my opinion the leaders are the trench grinder because they loose the overall desire and passion along the way. They start loosing site of the overall purpose. The consumers and the Professionally that we up hold. My opinion about the MLS’s they should be independently owned and should revamp the entire platform. Redo all old agreements contracts and start the open discussion about where and when the members data is placed and how in the layperson terminology.